In this second session the participants were introduced to the command line and invited to reconsider their ways of interacting with a machine. 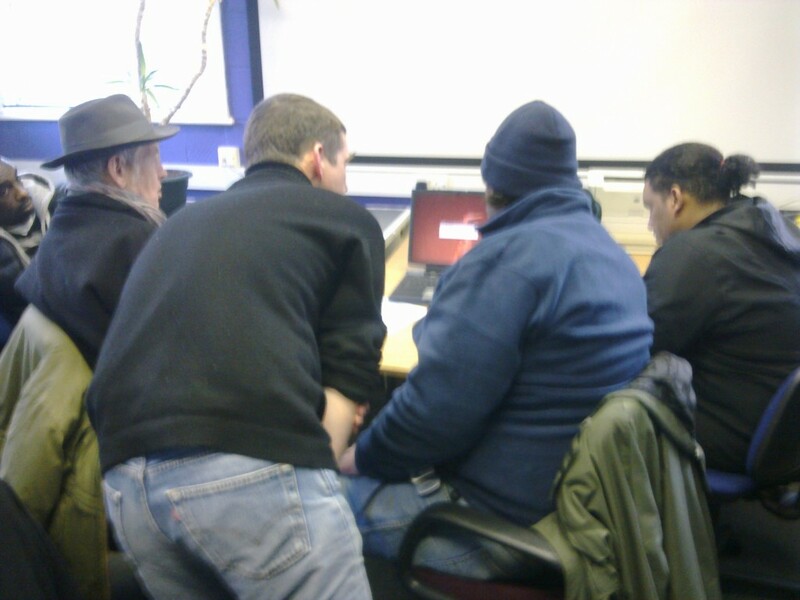 Using a fair number of commands they learnt how to navigate the file system, update their software, create and delete directories, monitor the processes that a computer runs. Week 2 Plan. DIY or DIWO (Doing It With Others)? A tour of the installed Linux operating system and how to get help on-line. De-mystifying what is inside a laptop computer. Sharing the process with others through the blog. Download pdf version. Week 1. Breaking Windows. Installing Linux. Zero Dollar Laptop workshop 1 took us through the installation of Linux on four of our recycled laptops. Twenty people got together in a busy room (18 participants and 2 tutors) and went through the first big step. An introduction to Linux on a recycled laptop: the Linux operating system in the context of the internet, and the installation of the software. 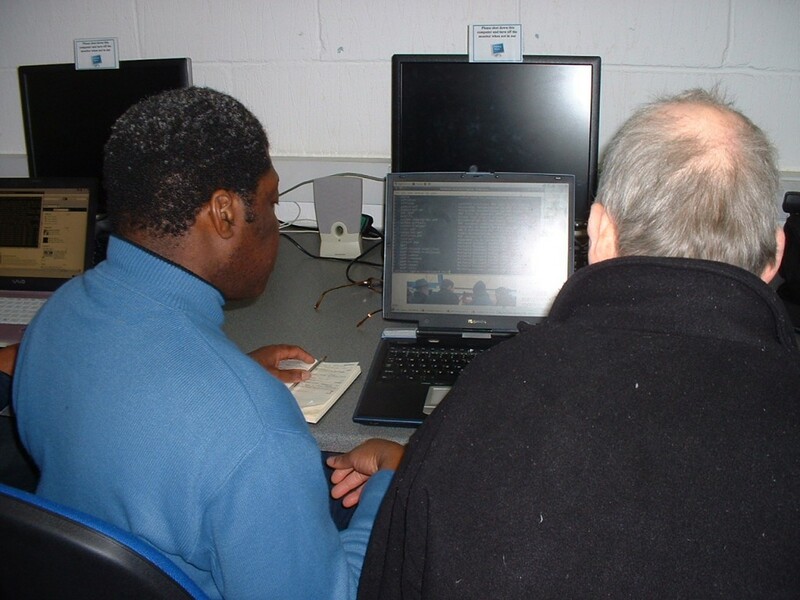 Learning about rich but Free media: creating and sharing media over the internet – using a Linux-based laptop and Free and Open Source Software. An introduction to the kind of media we can expect to be creating and the software available.Download pdf version.